The spine, also called the back bone, plays a vital role in stability, smooth movement and protection of the delicate spinal cord. 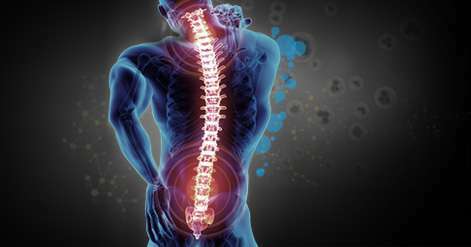 It is made up of bony segments called vertebrae with fibrous tissue called intervertebral discs between them. The vertebrae and discs form the spinal column from the head to the pelvis, giving symmetry and support to the body. 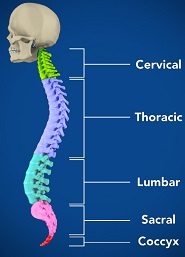 The spine can be divided into 4 parts: cervical, thoracic, lumbar and sacral region. The cervical spine comprises the first 7 vertebrae of the spinal column, which form the neck. The C3-C6 vertebrae have bifid spinous processes, meaning they are split in two parts, whereas C7 has a non-bifid, rounded spinous process.